Feeling stuck in a situation or time in your life can be very frustrating and sometimes debilitating. It's a part of life's journey but what is most important are the steps we take to get unstuck and learn from the struggle. I have recently been feeling stuck in a few places in my life. 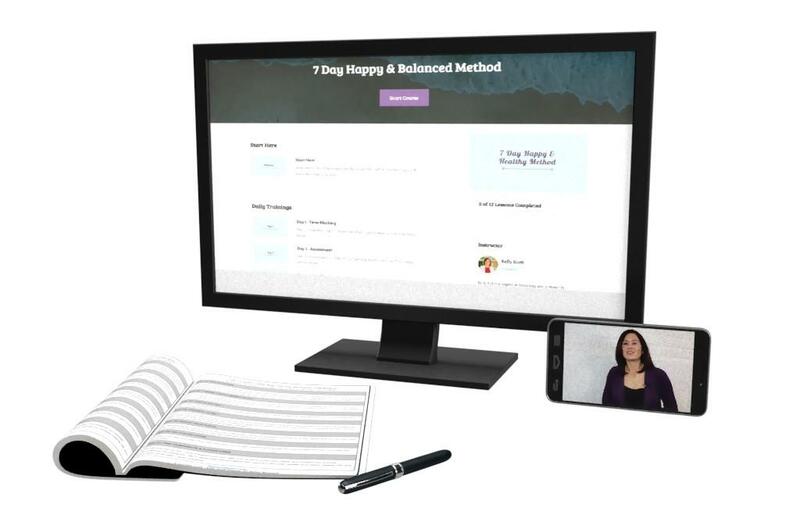 I have been feeling unmotivated to grow my online coaching business. I know what needs to get done but every time I sit down to do the work, I find other easier things to do rather than working on projects that will help me succeed. I also just had foot surgery so I have been a prisoner to my couch. Now I find it even more challenging to stay inspired to do the work that needs to get done. 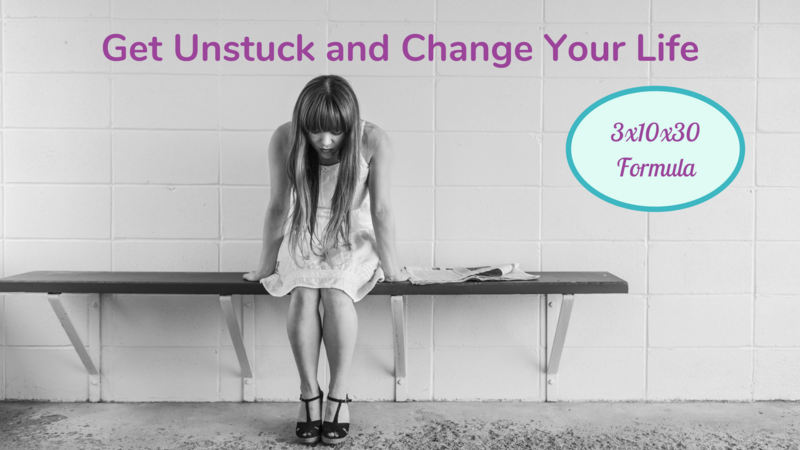 Getting unstuck from whatever situation is holding us back is ultimately our own decision. No one can pull us out of the rut we are in. We have to make the choice to make the change and do something different. If you are wondering, where do I start? How do I pull myself out of this funk? I'm going to share with you my 3x10x30 formula which will help you regardless of what situation you are in! This formula will teach you a simple routine to follow on a weekly basis that will ultimately keep you on track and if you fall into a rut, you can come back to this formula to pull you out. I stopped following the 3x10x30 formula which is why I got stuck in a rut. Just remember that small steps will lead to big changes, so don't get frustrated or stressed out. Just trust the process and make a true effort to incorporate this formula into your day. Before you know it, you'll be happier and extremely motivated to push past this rut that's been weighing you down. This formula will help you create a simple routine to keep you on track with self-care and a create morning ritual that will help you decrease stress. Get outside - jog, hike, ride a bike, etc. The healthier your mind and body are, the happier and more motivated you will be. If you have more time, then you can customize your formula. You can do your morning ritual more than 3 days a week and for longer than 10 minutes. I also encourage you to exercise more than 3 days a week but I want you to start small. Keep it simple for now and once you start noticing the impact the 3x10x30 formula will have on your life, the more you'll want to do it. I have created a 3x10x30 Formula worksheet as my gift to you! I am so passionate about this routine and I want you to take full advantage of implementing this formula into your week now! To dig more into this topic, be sure to join my private Facebook community, Stress Free and Balanced Life. I will be posting more about time management and going live in the group where I can answer your questions.